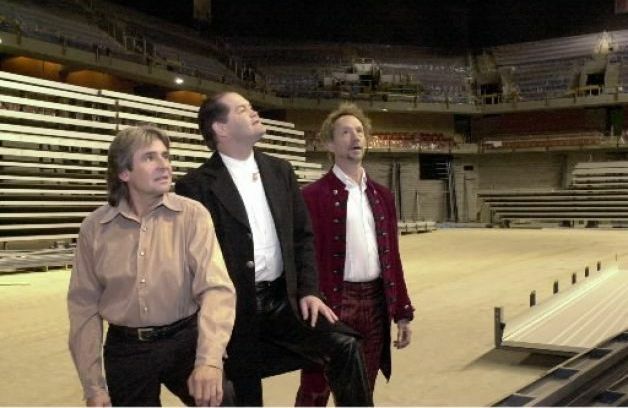 -What Am I Doing Hangin' 'Round? Also played on various nights were "I Wanna Be Free," "I'll Love You Forever," and "Hard to Believe," along with Davy's Oliver medley: "Consider Yourself," "I'd Do Anything," and "Who Will Buy?" 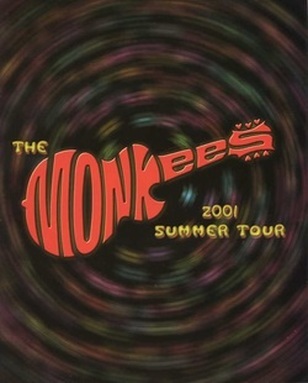 March 14: 9:30 Club, Washington, D.C.
​During the year 2000, The Monkees were the subject of the VH1 series Behind the Music. 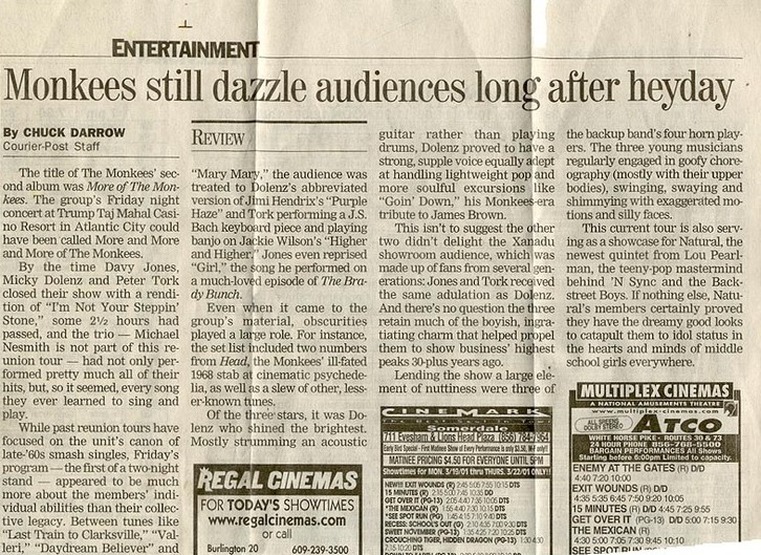 The band was also the centerpiece of the E! 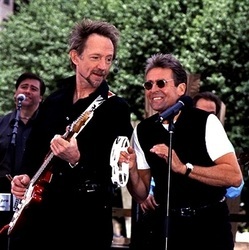 Entertainment Network show, The E! True Hollywood Story, and VH1 produced and aired a movie of the week telling the story of The Monkees. 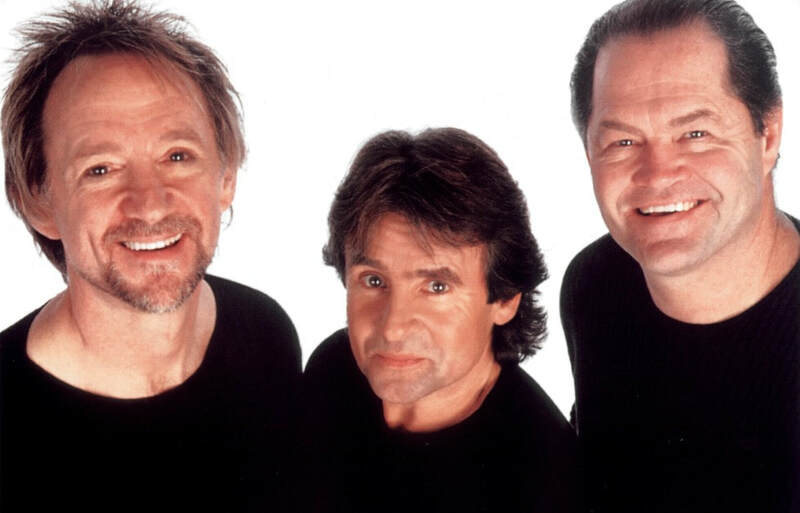 Because of the extra focus on the band, Monkees album sales increased and their most recent greatest hits package was certified gold in sales. 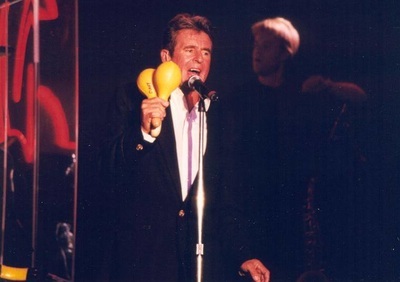 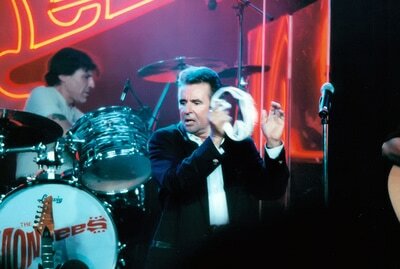 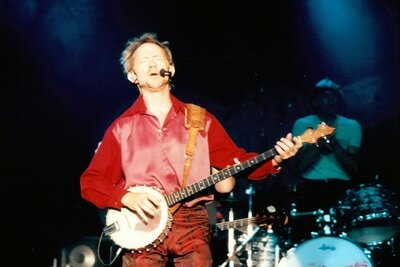 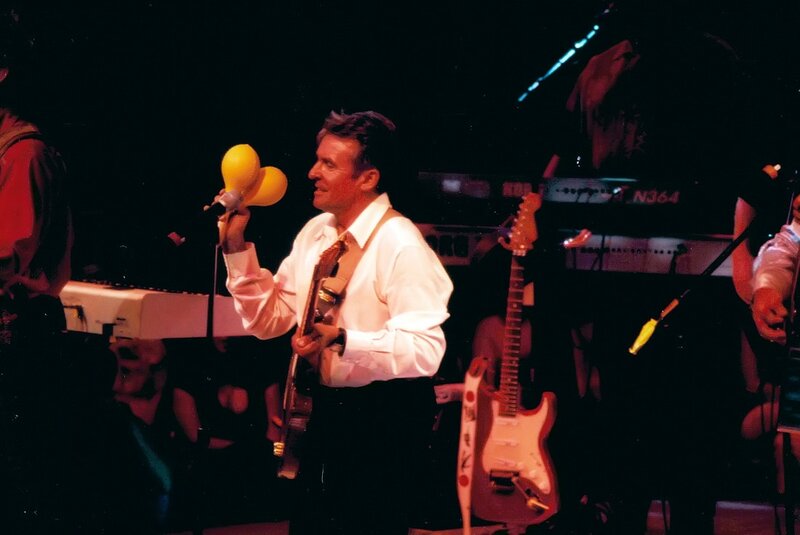 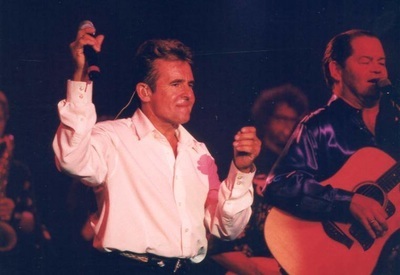 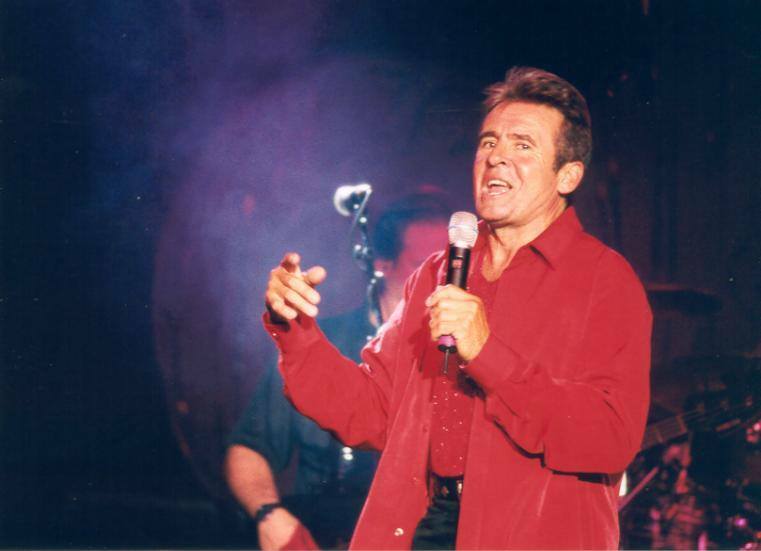 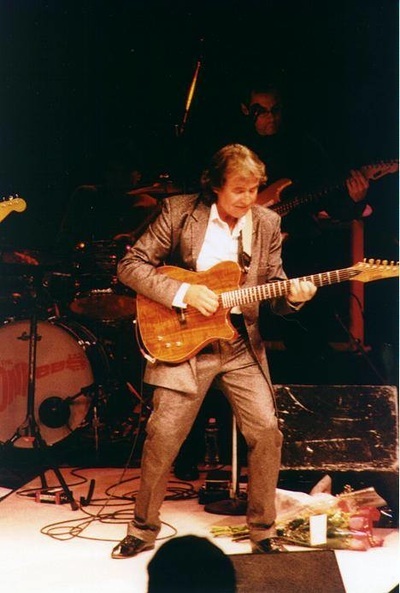 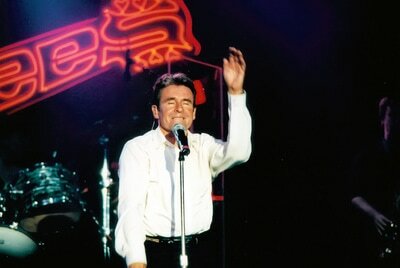 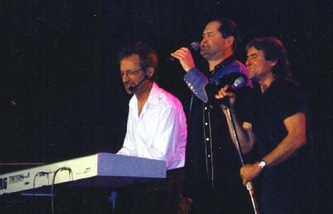 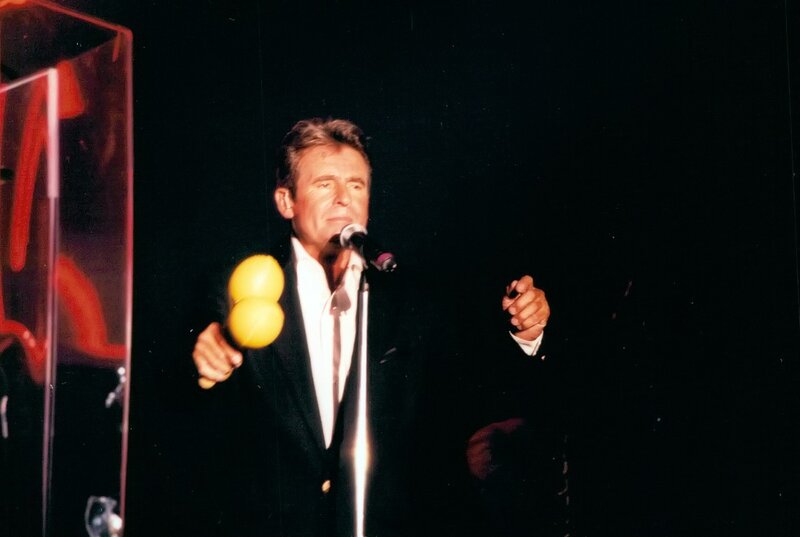 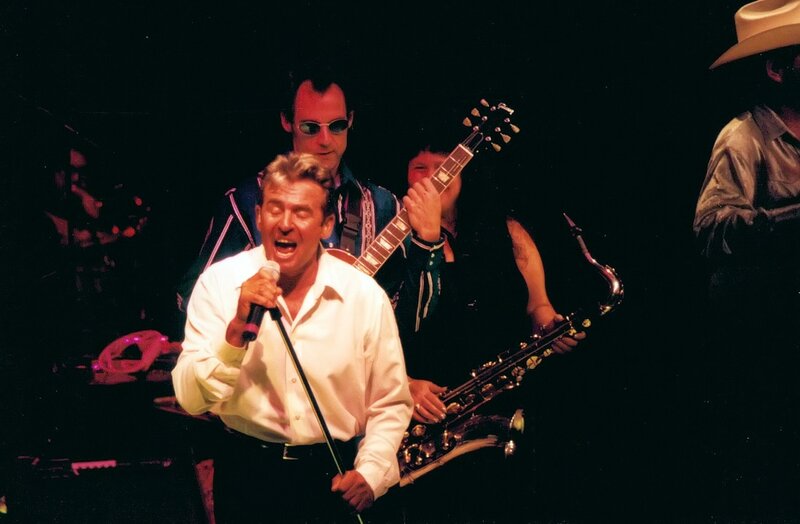 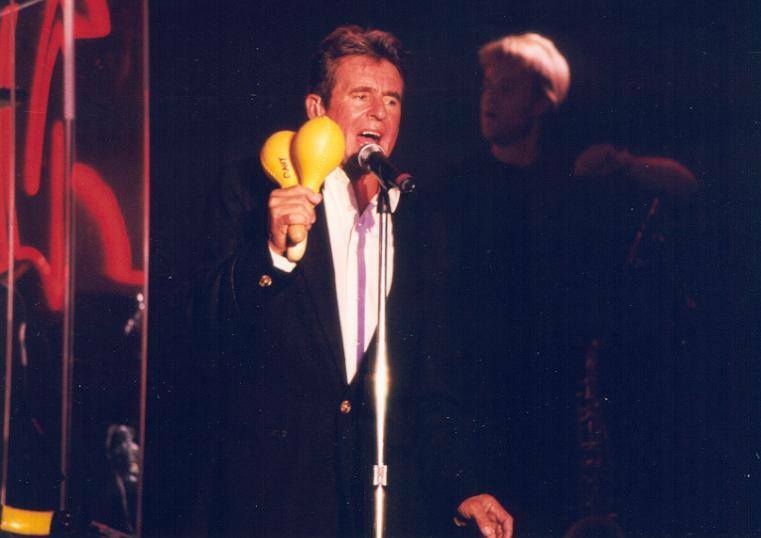 David Fishof, the promoter from the 1986 and 1987 tours, approached Micky, Davy, and Peter about undertaking a small tour of the United States to showcase the enthusiasm. Perhaps because of bad feelings leftover from the aftermath of the 1997 United Kingdom shows, Michael Nesmith was not asked to join in this latest round of Monkees activities. 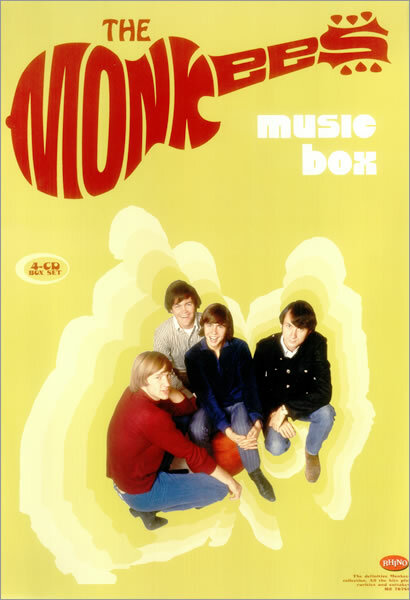 A new 4-CD box set chronicling The Monkees' recorded output from 1966-1996, Music Box, was released in conjunction with the tour. 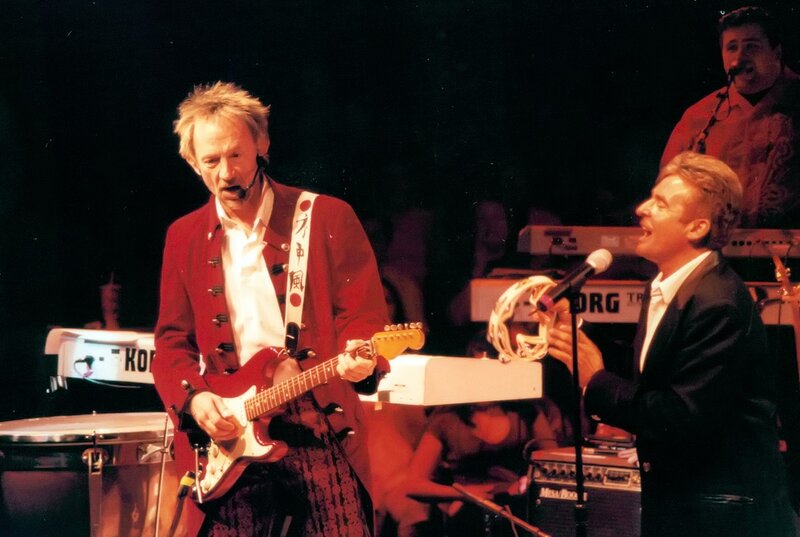 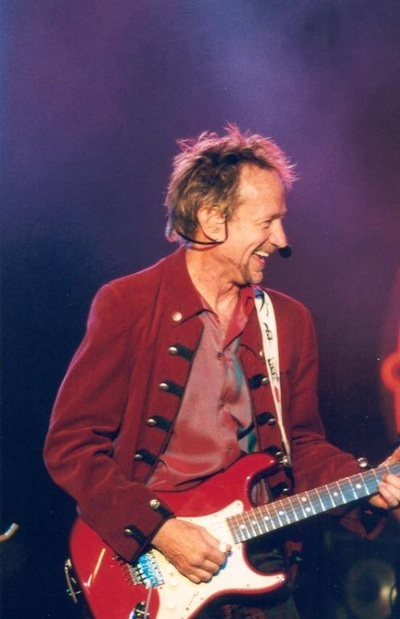 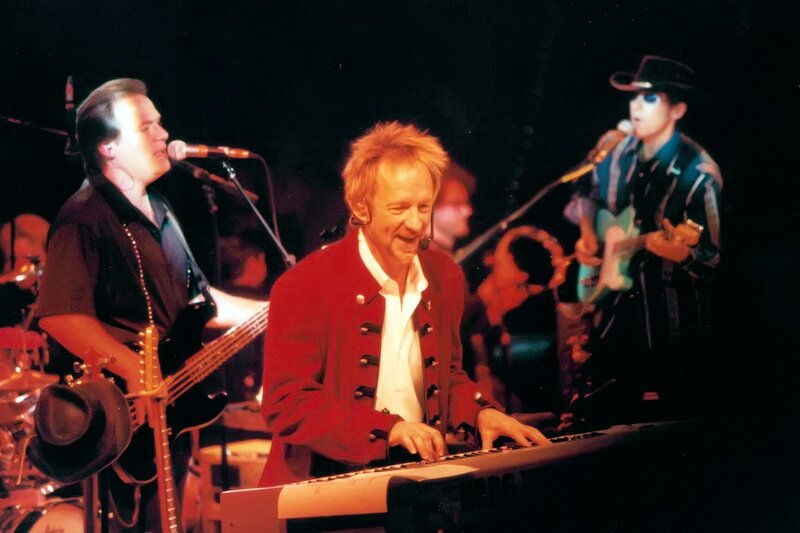 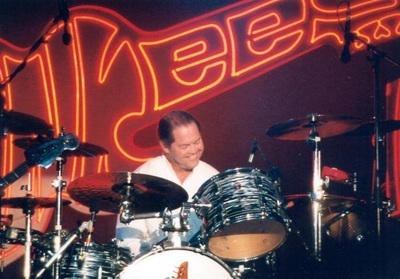 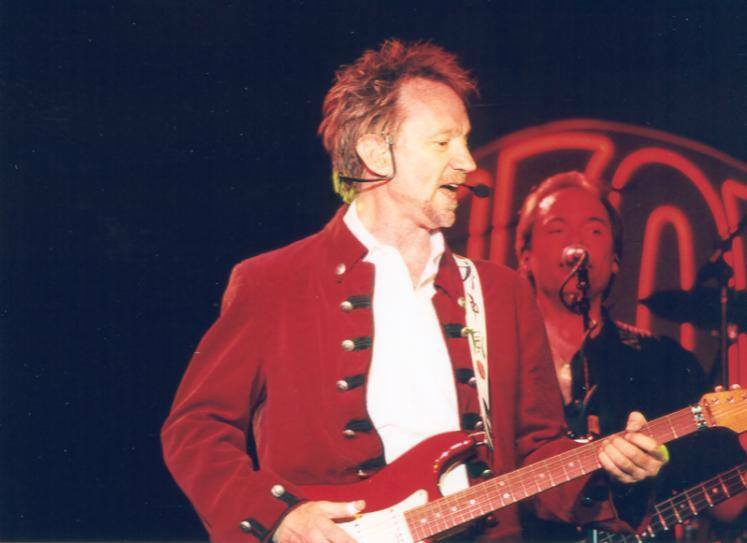 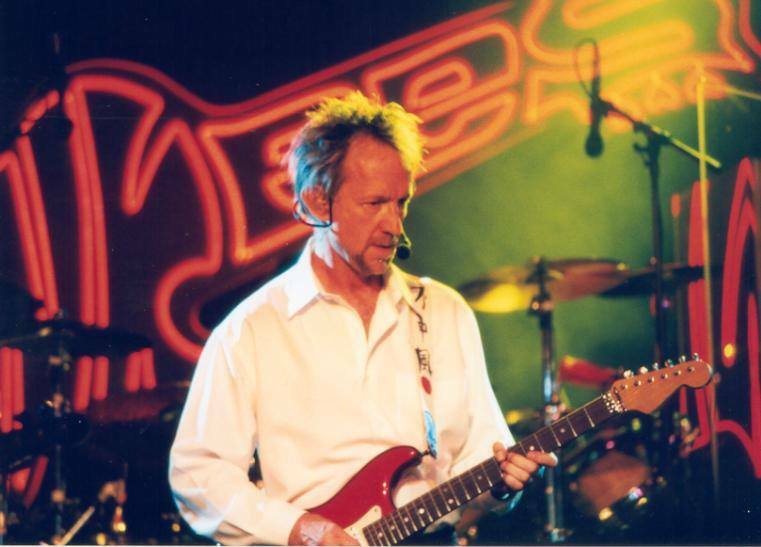 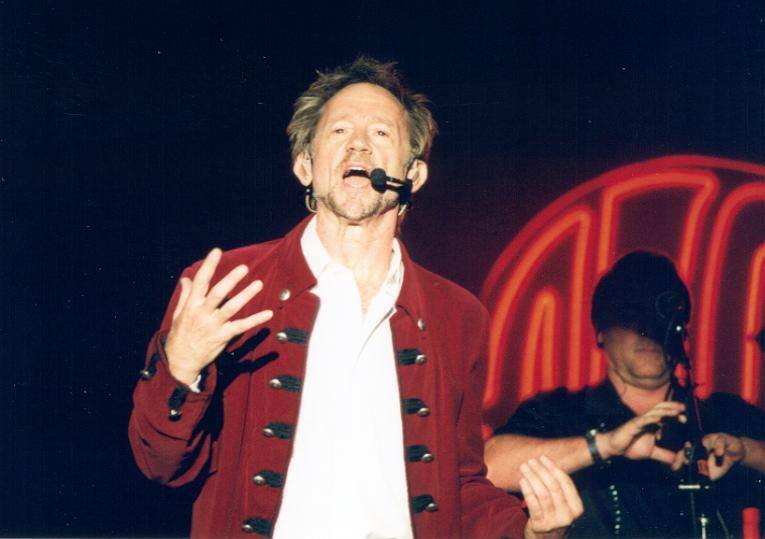 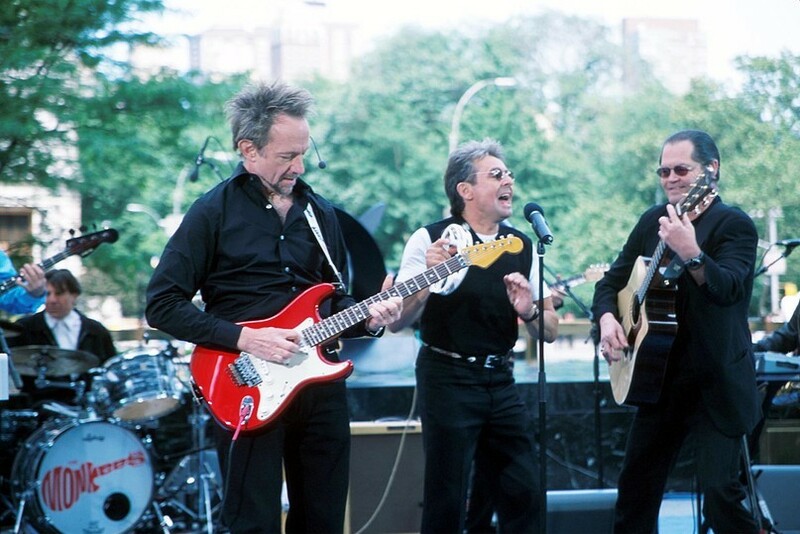 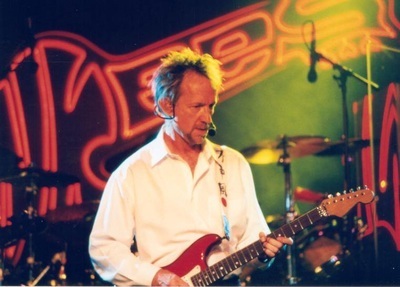 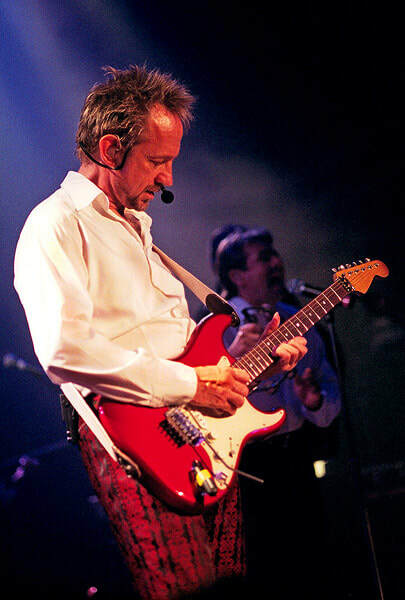 The three Monkees hit the road for the first time in nearly four years in March 2001 with a young up-and-coming act, Natural, as the guest band. 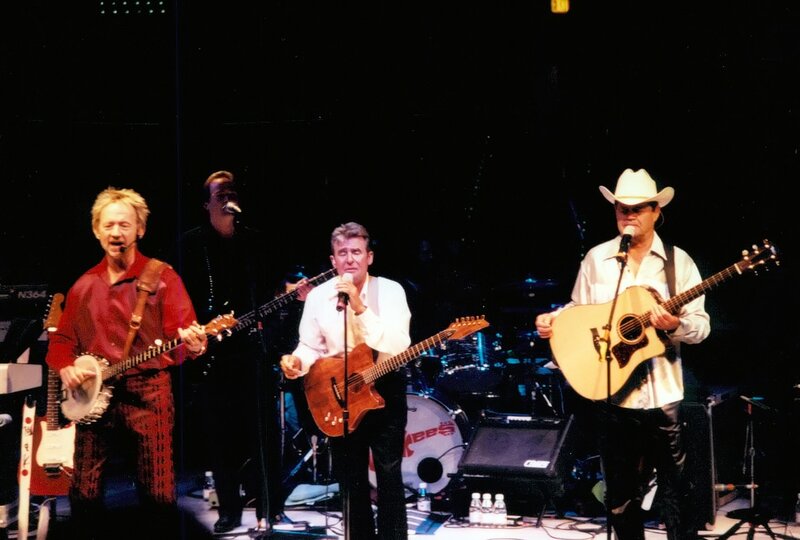 Most of the backing band from the 1996 and 1997 tours returned to support the trio onstage. The band consisted of Jerry Renino (bass), Dave Alexander (keyboards), Sandy Genarro (drums), Wayne Avers (guitar), Aviva Maloney (sax/flute), Sam Albright (sax), Eric Biondo (trumpet), and Greg Briggler (trombone). 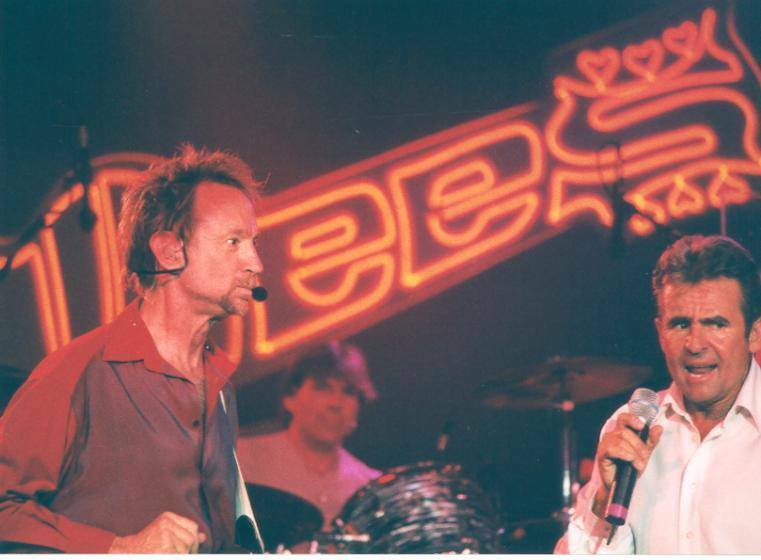 Renino also toured with The Monkees in 1989 and 1996-1997 as did Genarro in 1987 and 1997, and Avers and Maloney in 1996-1997. Instrumentally, Micky played rhythm guitar and on occasion, the drums (for "Mary, Mary" and "Your Auntie Grizelda"), Peter switched back and forth between electric and lead guitar, keyboards, and banjo, and Davy handled percussion work and occasionally played an acoustic-electric guitar. 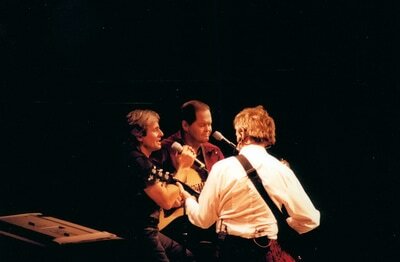 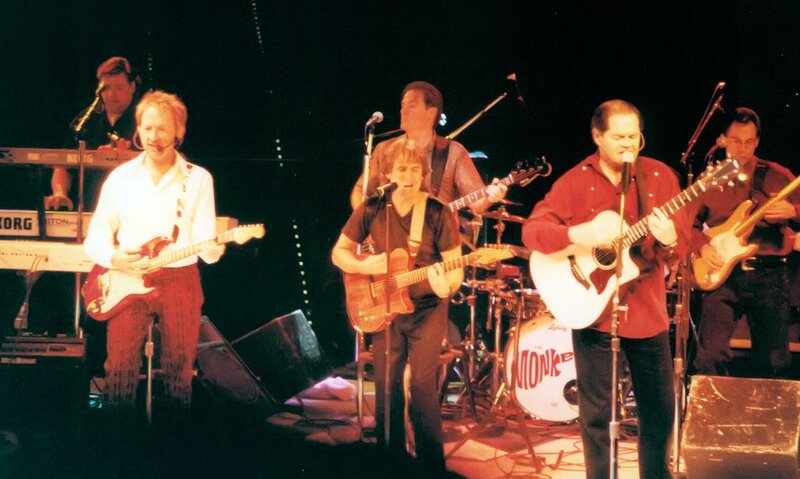 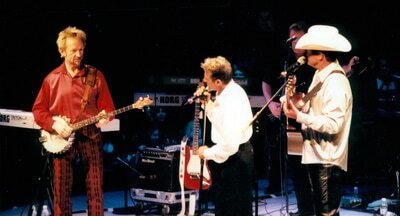 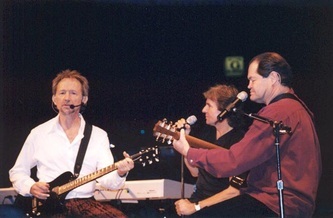 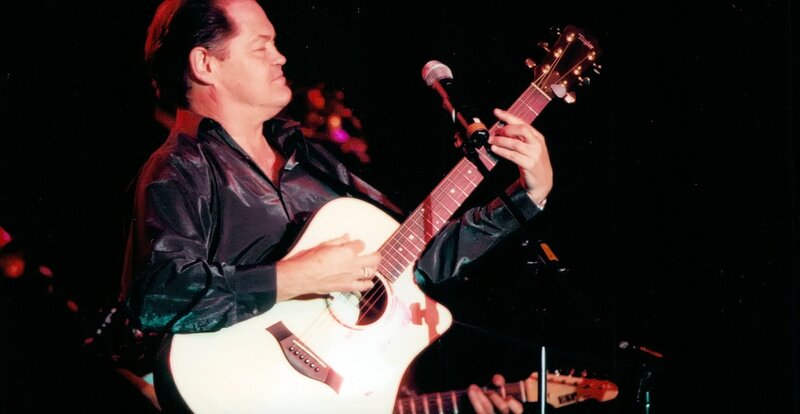 An "unplugged" set was performed during the first half of the tour (March - May) with just the three Monkees on the stage, featuring Peter and Micky playing acoustic guitars. 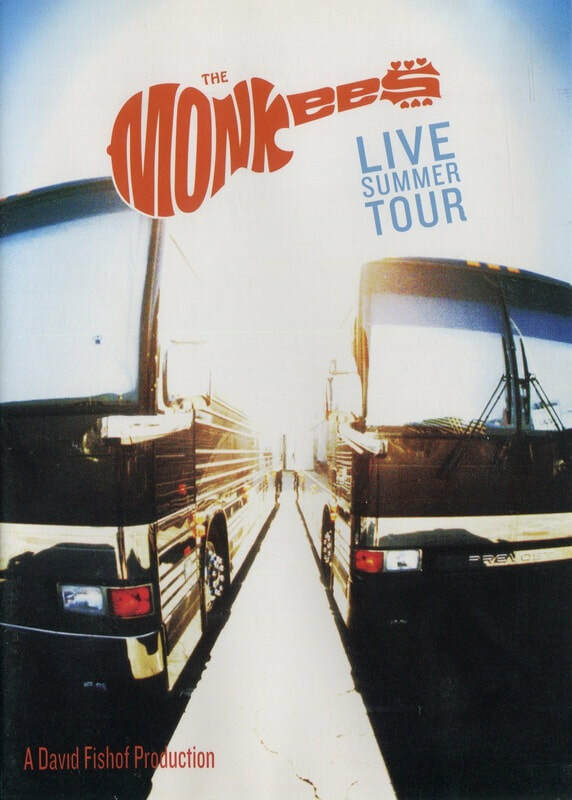 Because the spring concerts were enthusiastic sell-outs, the tour was extended in the United States for the summer months. Natural retained the opening spot on the second leg, but left at the end of July to begin their own tour. 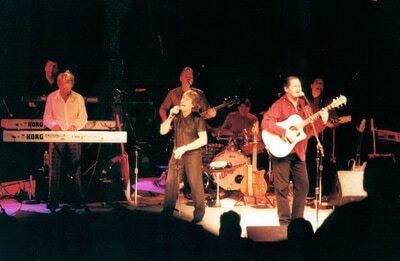 The Monkees' fortunes were boosted once again when "I'm a Believer" (as covered by Smash Mouth) was used in the blockbuster film Shrek, which helped continue to shine the spotlight on the reunited Monkees. 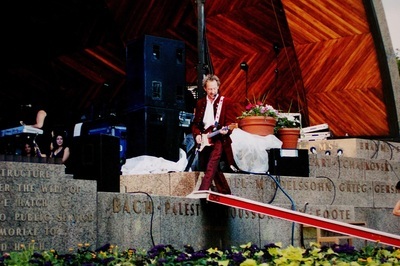 ​​The summer concerts featured different stage banter than the spring dates, as well as a re-arranged set list. The trio and the backing band performed on Live with Regis and Kelly and the CBS Early Show in late May to promote the start of the summer tour. 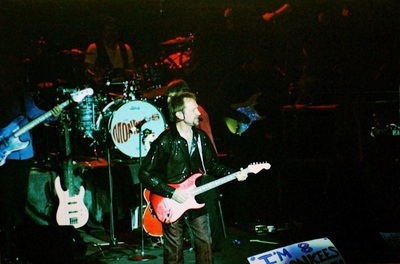 At the July 15, 2001 performance at Westbury Music Fair in New York, Micky sang "The Star-Spangled Banner" at the start of the concert in rehearsal for his rendition the next day at Shea Stadium before a New York Mets baseball game. The Monkees' concert at The Fillmore in San Francisco, California on August 18, 2001 saw the band perform "Boogie Woogie Bugle Boy of Company B," which featured a duet with Micky and his sister, Coco, accompanied by Peter on piano and featuring a special arrangement by Albright, Biondo, and Briggler of the brass section. 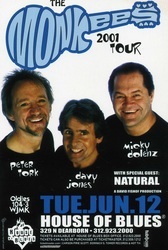 The end of the tour was promoted with an appearance by The Monkees and their band on The Tonight Show with Jay Leno on August 21, their second visit to Leno's show since 1996. 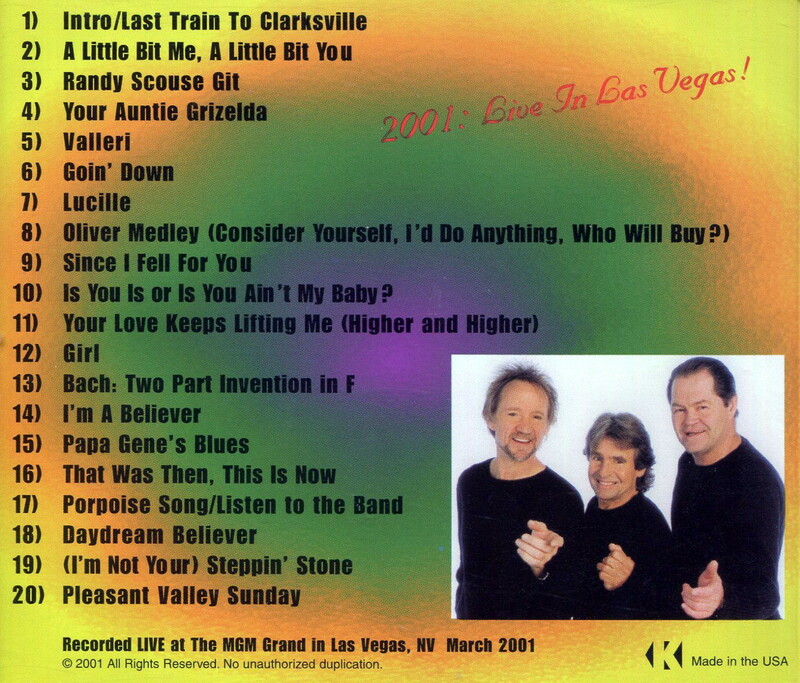 A new live compact disc, 2001: Live in Las Vegas! (recorded at the MGM Grand in Las Vegas, Nevada in March 2001), was made available only at the summer concerts. 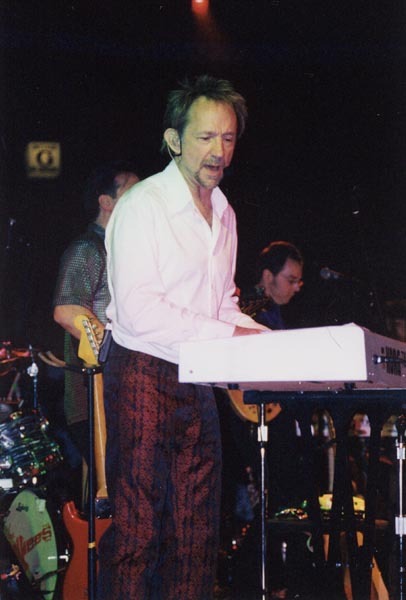 Midway through the critically acclaimed summer tour, Peter Tork announced to his bandmates that he would honor his contractual commitments to The Monkees through the end of the summer schedule, but then would leave the tour in an effort to rejoin his solo project band, Shoe Suede Blues. Internal tensions mounted as concerts in the United Kingdom, scheduled for the fall of 2001, had already seen tickets go on sale with the promise of the full trio appearing. 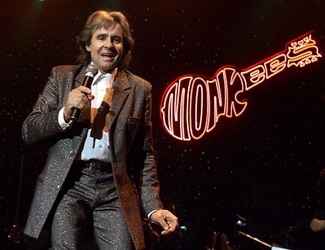 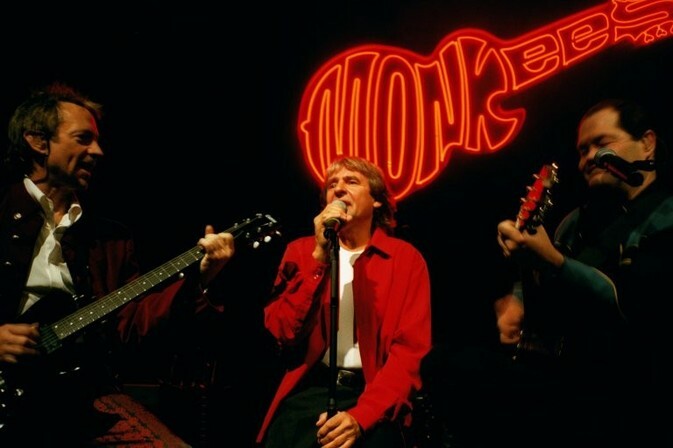 Subsequently, on September 2, 2001, Peter received a phone call from tour manager David Fishof informing him that Micky and Davy were insisting that he not show up at The Monkees' remaining U.S. dates in September, citing irreconcilable differences as the cause of his termination. Tork initially claimed that the backstage behavior of Dolenz and Jones was unacceptable to him, but a decade later, ultimately shouldered the blame for the fall out. 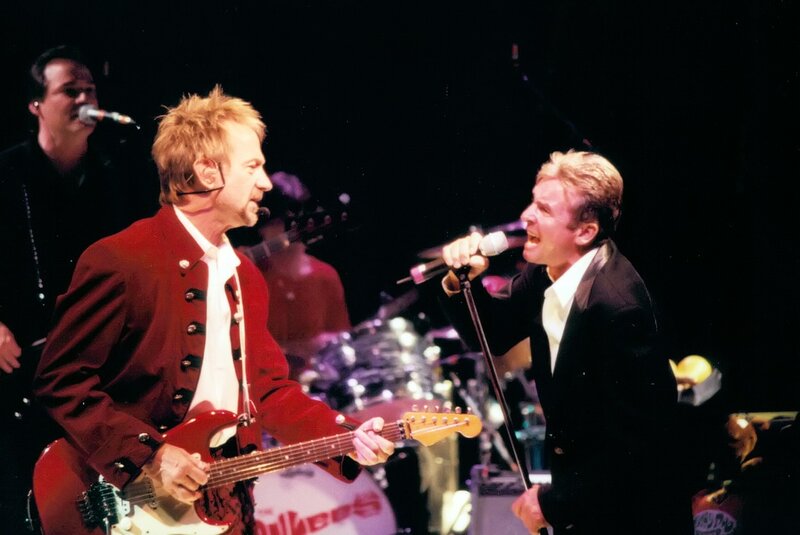 "We were getting along pretty well until I had a meltdown," Peter told Rolling Stone in 2011. "I ticked the other guys off good and proper and it was a serious mistake on my part. I was not in charge of myself to the best of my ability – the way I hope I have become since. 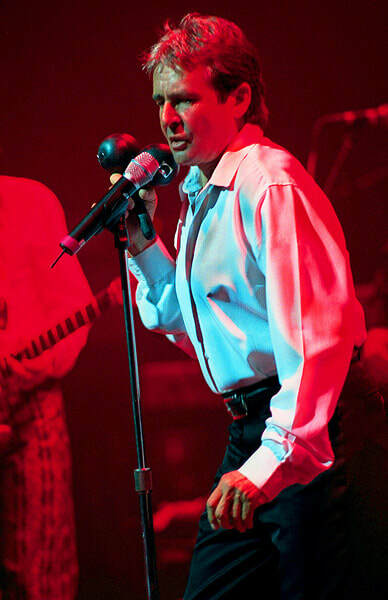 I really just behaved inappropriately, honestly. 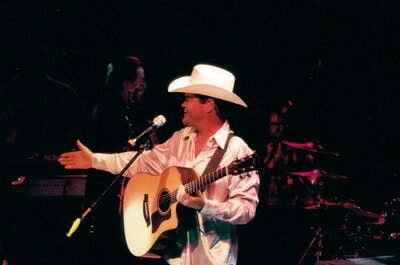 I apologized to them." 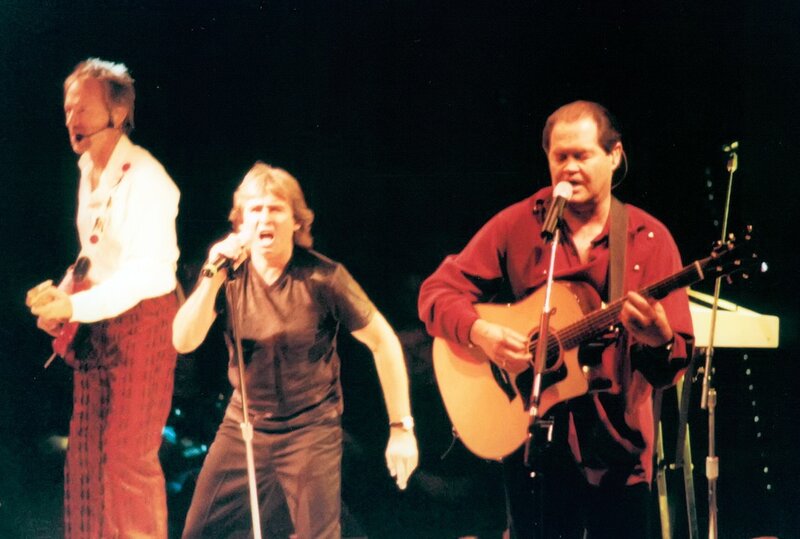 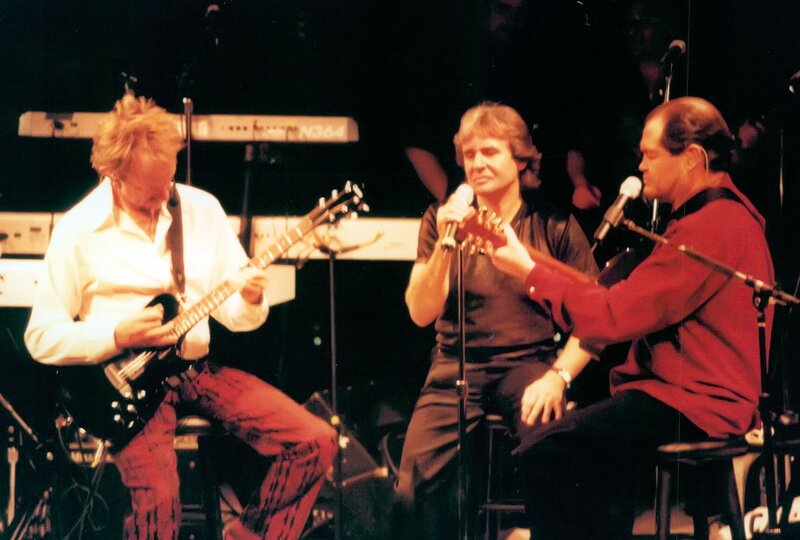 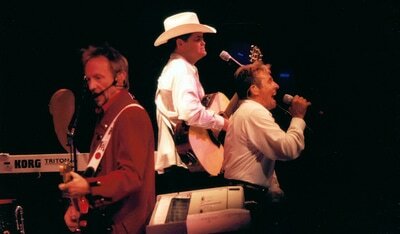 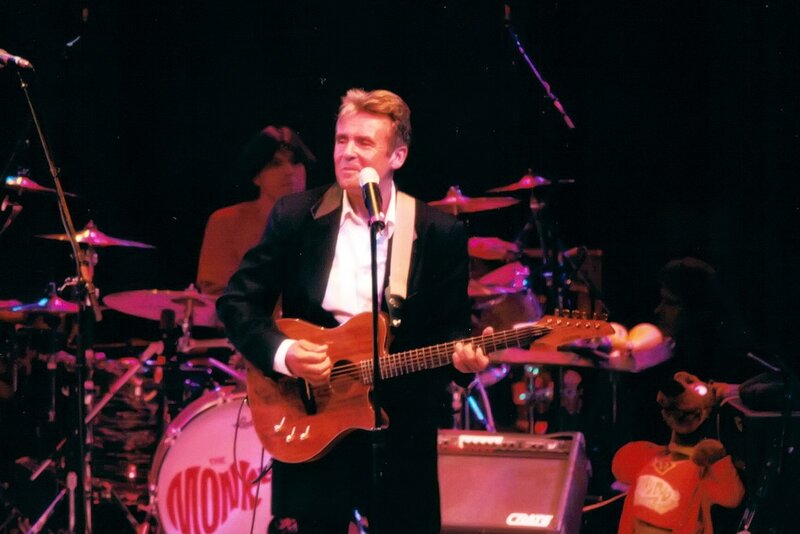 ​The Monkees' last performance as a trio was on August 31, 2001 at the Sun Theatre in Anaheim, California. 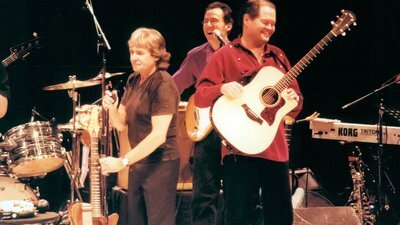 The Anaheim concert just happened to be recorded and filmed. 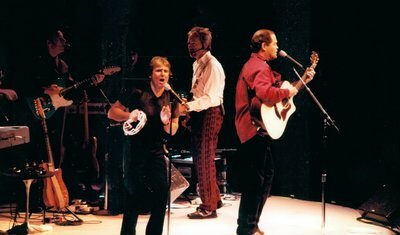 The subsequent release, Live Summer Tour (seen below), was made available on DVD and compact disc in stores and online. 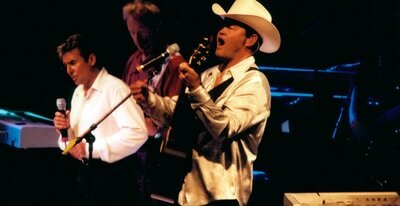 ​Dolenz and Jones appeared as The Monkees on the last four dates of the 2001 North American tour in Illinois (9/7/01), Texas (9/8/01), Pennsylvania (10/13/01), and Arkansas (12/1/01). 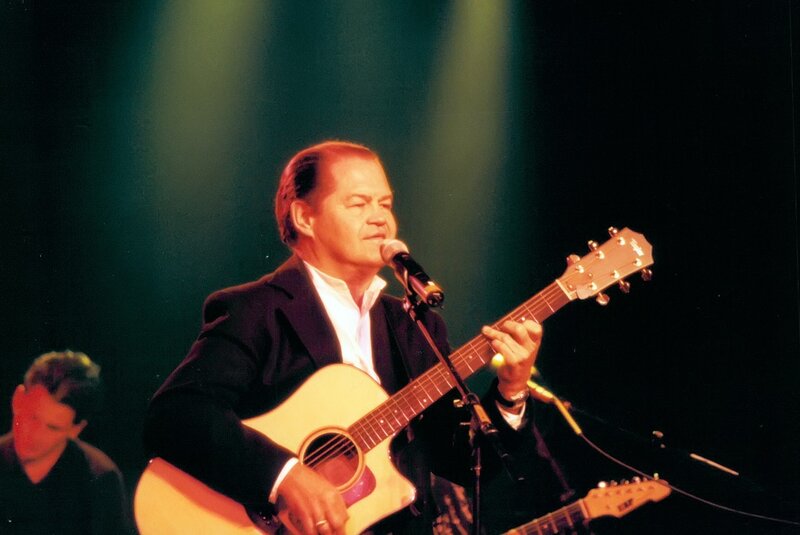 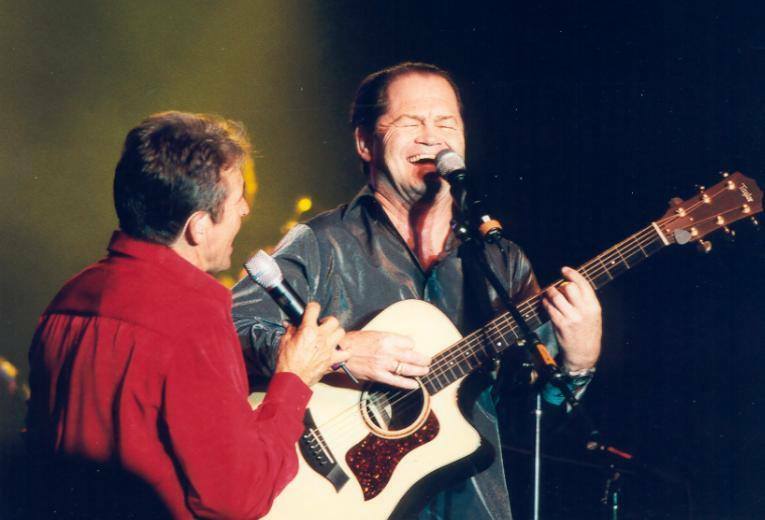 The set list was rearranged and Peter's songs removed, with the exception of "For Pete's Sake," which was played at the first Dolenz/Jones show with Micky singing the lead vocal as he had done on the album version. 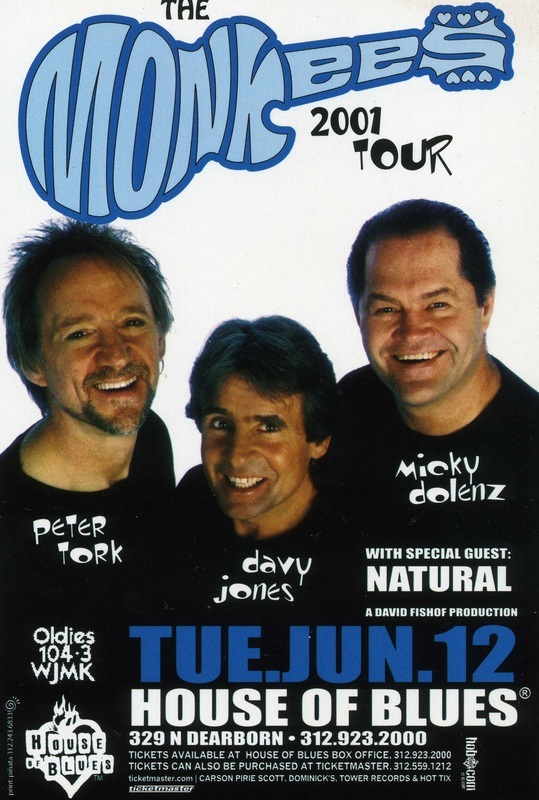 These final shows began with the introduction, "Welcome to The Monkees Show, featuring the stars of The Monkees, Micky Dolenz and Davy Jones." 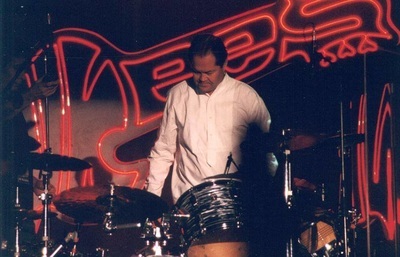 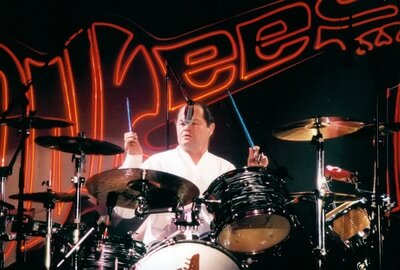 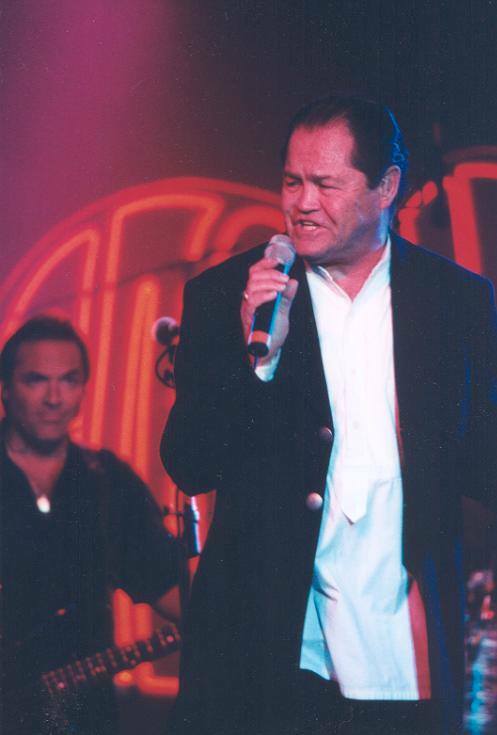 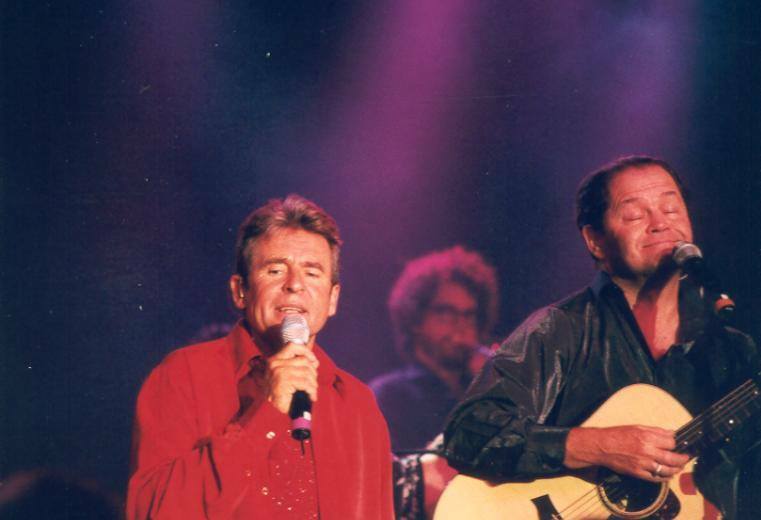 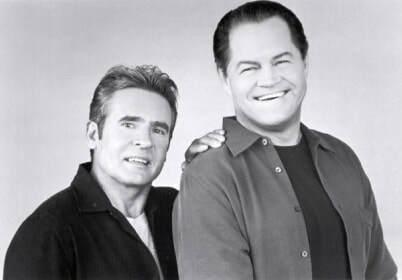 Dolenz and Jones were scheduled to appear as The Monkees in United Kingdom arenas in the fall of 2001. The UK tour was rescheduled for March 2002 after the tragic events in New York City, Pennsylvania, and Washington, D.C. in the United States on September 11, 2001. "It was virtually impossible to leave the Monkees show in a bad mood. 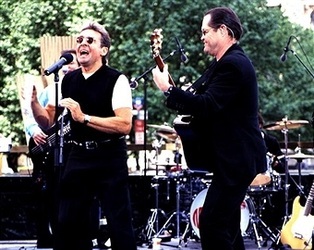 The group mixed many of their hits, such as 'Last Train to Clarksville' and 'I'm a Believer,' with some blues, classic rock, country, Broadway, and even Bach. 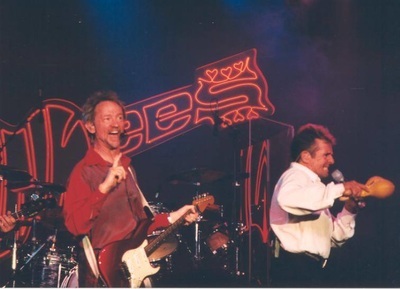 These guys clearly were having fun and it was contagious."